A partner at Bisset, Boehmke, McBlain since 2003, Koen has over 27 years experience as a lawyer. He has acted as Commissioner of the Small Claims Court and at the Western Cape High Court, both in Cape Town, on several occasions since 2007. During one of those acting stints last year, he convicted Ivan “Ice” Jacobs, apparently “the biggest drug-dealer in Mitchells Plain, to life imprisonment for the beating and stabbing to death of his estranged wife, and mother of four, Carmen Jacobs – a “murder of the worst kind imaginable” said Koen. “My vocabulary cannot do justice to the horror of the scene depicted in the photographs of the murder scene and Mrs Jacobs’ dead body…her last few minutes on this earth must have been filled with terror and pain,” Koen wrote, noting that Jacobs’ continued denial of guilt meant remorse or rehabilitation did not factor into his sentencing. Jacobs was also sentenced to an additional 84 years for charges including assault with intent to do grievous bodily harm, kidnapping, dealing in heroin, illegal possession of ammunition and dealing in tik. Koen was previously interviewed by the Judicial Service Commission (JSC) for appointment. An unsuccessful attempt in 2011 – when the JSC declined to fill two vacancies on the Western Cape Bench despite candidates including respected silks like Owen Rogers and Jeremy Gauntlett – led to the Cape Bar Council taking the JSC to court on grounds that the decision was irrational and unconstitutional. The court found in the Cape Bar’s favour and the commission’s appeal was dismissed by the Supreme Court of Appeal. Race and racism in the Western Cape’s legal fraternity dominated attorney Stephen Koen’s interview. 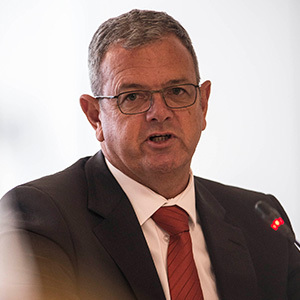 Both the habit of his practise in briefing black and female counsel, and the attitude to racism of the Cape Law Society, which Koen has represented on numerous occasions, came under scrutiny. He said his firm had tried to address this by offering a bursary scheme to “pay for a disadvantaged final year law student” and had run moot courts. The commission raised issue with an objection to Koen’s appointment brought by a lawyer who alleged that while Koen had been acting as a judge he had represented the Cape Law Society in a disciplinary matter which the lawyer was facing. Koen denied this and said his term had ended in August 2012, and the disciplinary hearing had taken place a month later. Koen told the commission he did not believe he needed to respond to the objection in writing to the commission because he was under the impression that it would be ventilated during his interview. Western Cape Judge President John Hlophe asked Koen to comment on the Cape Law Society, described as one of the “most conservative in the country” and which, Hlophe said, was much harsher on black attorneys who have “broken rules’ than their white colleagues. Koen said he had “never seen evidence of that” and he believed the society had “transformed years ago” with a council that was “representative of the demographics of out country”. On what made an ideal judge, Koen said it was someone who had “an open mind”, would “listen carefully to the cases before you”, “be open to persuasion”, “courteous” and possess a “sound work ethic”. Sometimes the Judicial Service Commission acts like a needy lover unable to let someone go – leading to extraordinarily long, occasionally painful, interviews. At other times, it speed dates with candidates, getting them out before an indentation can be made on the hot-seat. Koen’s interview, over before the twenty minute mark, was one of those speedy ones — he has, also, been previously interviewed by the commission. His firm had done considerable work relating to the Law Society’s disciplinary matters and Koen was asked if they they had struck many black lawyers off the roll and to also explain his role in that process. According to Koen, the general approach had been to exhibit care with these matters, stick to the facts and to always play the ball, rather than the man – then it was left to the court to decide the outcome. Koen was asked about the range of matters he was exposed to while acting at the Western Cape High Court Bench and how his practise had been affected during his acting stints.